Consul General Zhao shared with the participants the Chinese perspectives on the results of the China-U.S. Presidential meeting in California. He stressed that this is a meeting of strategic, constructive and historic significance. Through this meeting, both leaders enhance mutual trust, reach a series of important consensus, point out the direction and plan blueprint for the future development of China-U.S. relations, as well as open up a new page of "trans-Pacific cooperation" between China and America. All the participants spoke highly of the Presidential meeting. 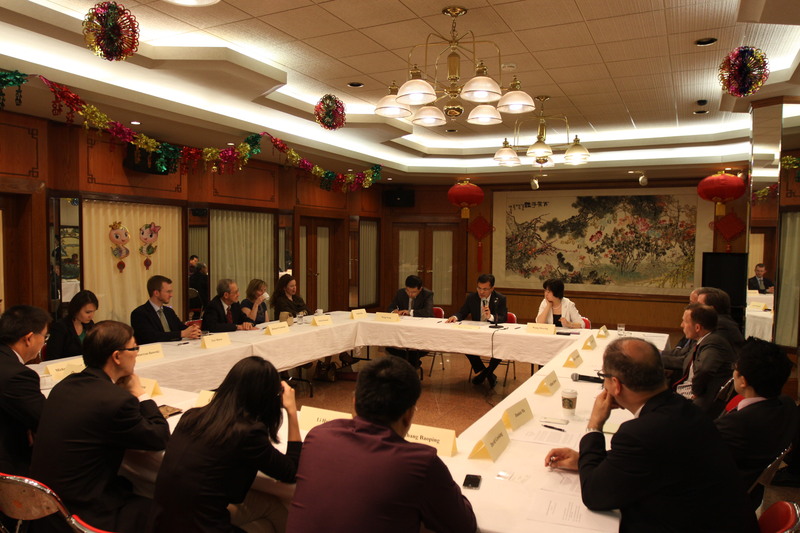 Consul General Zhao exchanged views with them on the issues related to China-U.S. relations. Deputy Consul General Wang Yong, Deputy Consul General Wang Shuying and Commercial Counselor Chen Guowen also attended the Seminar.